Last blog I talked about what healthy eating is, which is all well and good, but how do we make this budget friendly? So here I am, ready to share how we eat a healthy, whole foods budget friendly diet. One of the most common reasons I hear from people for not eating as healthy as they’d like, is that they feel it’s too expensive. At first glance it can seem like that – but usually after a few weeks and with some shopping tips – they soon realize that eating healthy is absolutely possible on a budget. Once you get the hang of it, it can be quite simple! 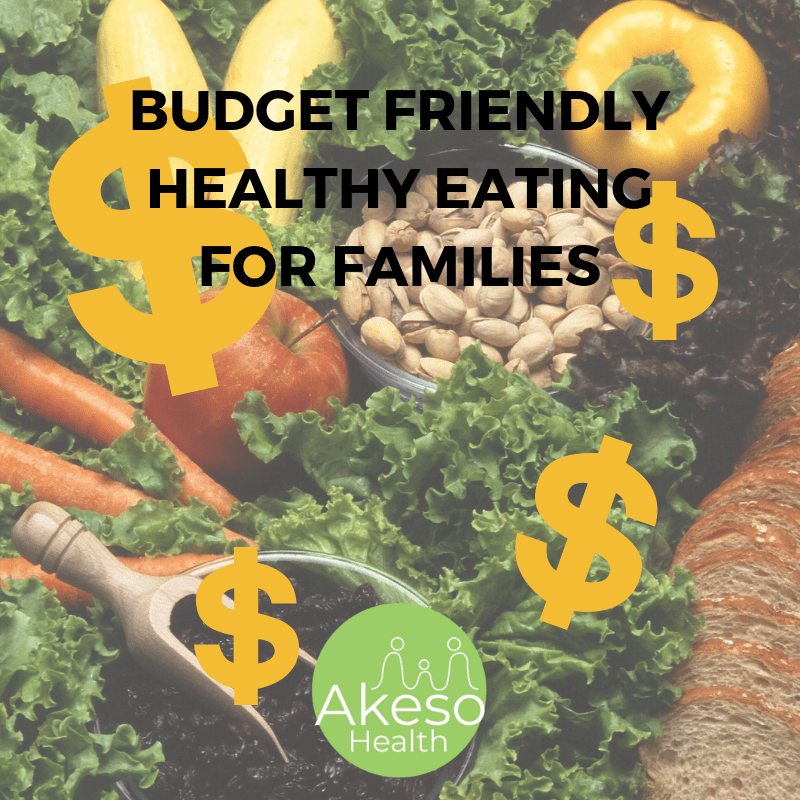 I’m going to share my tried-and-true tips on how to eat budget friendly, healthy meals. Take these tips and make them habits in your life and you’ll soon find you can successfully have a healthier kitchen without sacrificing your bank account. Think about it – all of the healthy foods are on the outside perimeter of the store. For the most part, the inside aisles are the pre-packaged, boxed foods that typically aren’t ideal for a healthy lifestyle and they’re more expensive per serving. There are certainly some items you’ll need from the inside aisles, but the majority of the trolley can be filled with items from around the edges. So always start by shopping the perimeter of the store before you dive into the inside aisles. Wholesale stores such as Costco or Aldi may be most beneficial to shop at for some healthy, organic and/or non-organic items, but probably not your entire grocery list. Check out where you can get your staple items each shop. Are your veggies most affordable at the Farmers Market or independent green grocers? Can you get your meat cheaper in bulk from Costco, Aldi or an independent butcher? Is it most economical to get your grains and beans in the bulk aisle at a health/whole foods store? Shop around and find the best deals for what you need on a weekly basis. You do need to know the prices of things you buy to know if it is the best price. Consider the time and petrol to get to another store that may be cheaper. Is it going to cost you more in fuel and time than the saving will be? Yes, it takes extra time, but buying pre-chopped onions or cut up fruit costs a significant amount more than buying a full cantaloupe and cutting it yourself. Same goes for sauces, marinades and cooking sauces, it is much cheaper to make your own than to buy pre-made jars. A budget friendly tip, although you will need to outlay more money at the start. If you can afford this for things you use a lot of, it will save you money in the long run. Buying in bulk also saves packaging too. This is particularly relevant for those buying lunchbox sized portions of foods. If you still want to buy them (rather than making your own healthier version or cutting them out completely), then purchase them in a bigger packet and portion them into your own reusable containers at home. Many schools have rubbish-free lunchbox days or request that you always provide this. Are there some items you frequently eat that you can grow in your backyard or on your balcony? There are a tremendous amount of foods that you can easily grow at home, many of them you can even grow from scraps, or in pots if you don’t have a yard. Even just growing some herbs will add lots of nutrients and flavour to each meal and is very budget friendly. Free is always great, right!? And when you grow it yourself, you know your food isn’t laden with harmful chemicals. So, what can you look into growing? In season vegetables and fruits are far less expensive, more nutritious and easier to find. Fruits are almost always on sale at conventional grocery stores – so check online to see where you can get berries half off or where you can stock up on fruit for the week, before you head to the shops. I know of two green grocers near me that have specials on their social media pages each week and sometimes they vary from day-to-day. So it is also worth following your local green grocer shop on social media. Making the bulk of your produce the least expensive ones can keep your grocery bill down each week. Greens, carrots, apples and celery are among a few very inexpensive options. Balance those out with some more expensive broccoli, Brussels sprouts or berries, and you’re well on your way to eating healthy on a budget. Vegetables cost a lot less than meat, so pad out your meals with vegetables. Remember that a serve of protein-rich food like meats is only the size and thickness of your palm. Only including, or serving, enough meat in your dish to match this size will save you money. Vegetarian or ‘meat-free’ meals will also help you save money as beans, legumes and eggs are generally cheaper than free range meats. How do you save money and stretch your budget further on your food shopping? I’d love to read your tips in the comments below. Feel overwhelmed at the thought of making changes to your families way of eating? Need some extra support to step you through how to do it and avoid objections and complaints? I am available to coach you through these changes, with my ‘Wellness Checks’ for individuals or families. Find out more about them HERE. 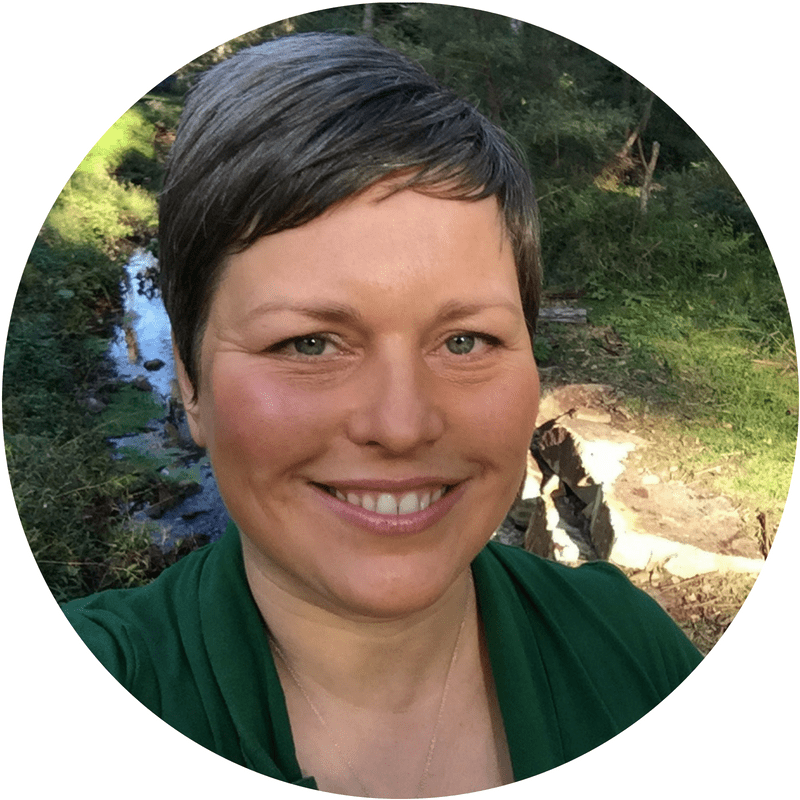 Book your free 15-minute discovery call with me and find out if I am the right Naturopath for you. For daily health information, be sure to like and follow my Facebook, Instagram and Pinterest accounts.